TU Wien is Austria's largest technical university (approx. 25.000 students, 150 full professors, 1.900 scientific employees, organized in 8 faculties) and a premier science institution in Europe. The university buildings are located in the city center near the underground station "Karlsplatz". The Faculty of Informatics consists of 7 institutes, has 7.000 enrolled computer science students (5 bachelor-level and 9 master-level curricula, 3 doctoral programs and employs over 55 full and associate professors, 60 assistant professors and 190 research assistants. Vienna is the capital of Austria with a population of 1.8 Million. It is in high demand as a destination for conferences and conventions as it is easy to reach, has plenty to offer and is considered as one of the safest cities offering the highest standard for quality of living (#1 according to the Worldwide Quality of Living Survey, Mercer Human Resource Consulting). All the year round, Vienna is a leading tourism destination for its historic city with numerous cultural attractions like museums, opera houses, concert halls, theatres, as well as architecture from several epochs. For those who are interested in culinary indulgence, Vienna is well known for its coffee culture at impressive imperial cafeÌ�s and its "Heurigen" places (wine tasting of local wines at local vineyards) surrounding the city. Vienna has a long academic history with 9 universities and hosts major international organizations such as the UN, UNIDO, IAEA, OECD and OPEC. The main train station of Vienna is called Wien Hauptbahnhof (commonly abbreviated as "Wien Hbf", translating to Vienna central station). It is directly connected to the underground line U1, as well as many other bus lines. The majority of trains in Austria are operated by the ÖBB. City Airport Train (CAT): The CAT offers a direct connection to the City Air Terminal (Wien-Mitte/Landstrasse, underground lines U3 and U4) in only 16 minutes. Leaving the airport, the CAT departs every half our between 06:05 and 23:35, and going to the airport between 05:38 and 23:08. Tickets are available at one of several terminals (single ticket 12 euros / return ticket 19 euros), online (single ticket 11 euros / return ticket 17 euros), or even on board (single ticket 14 euros). Train: The train station for the "S-Bahn" is located right next to the train station of the CAT. The ride to the city center takes longer than on the CAT as it stops at several stations. However, tickets for the S-Bahn are cheaper. You can buy a ticket (valid in two zones) at the ticket machines in the train station (4.20 euros, including public transportation in Vienna). For an overview of all stops on the way from the airport to the city center, please see the schedule. Airport Bus Shuttle: There are regular buses running from the airport to Wien Morzinplatz/Schwedenplatz (with connection to underground lines U1 and U4) Wien D&omul;rfelstrasse/Meidling (with connection to underground line U6) Wien Westbahnhof (with connection to underground lines U3 and U6) The bus station is located directly in front of the airport arrival hall. Buses leave every 20 to 30 minutes. It takes around 30 minutes to get to Vienna by bus. Tickets (8 euros) are available on the bus or at the self-service ticket machines. Please note that the tickets are only valid for the shuttle bus, and not for public transportation in Vienna. 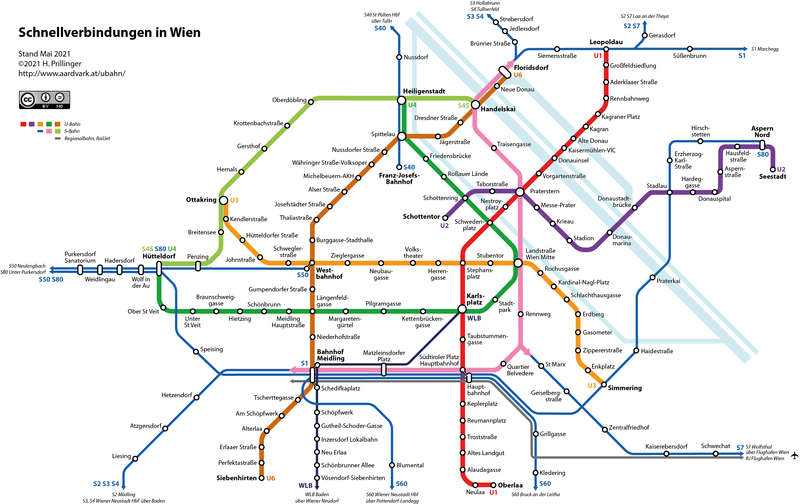 Vienna has an excellent public transportation system, operated by the "Wiener Linien". You can find the route map and timetables for Wiener Linien here. The fastest way to get around in Vienna is by using the underground. 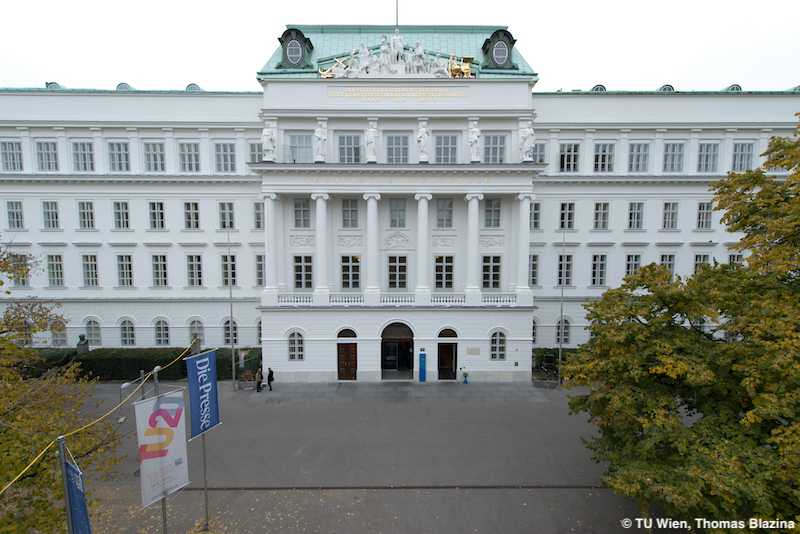 The university buildings of TU Wien (in particular the building at Gusshausstraße 27-29 where the conference takes place, see below) are in short walking distance to the underground stations "Karlsplatz" and "Taubstummengasse". Wiener Linien offer 4-day travel cards for the entire public transportation network of Vienna at the reduced fare of €18.20. Tickets are available at every underground station. Authors of accepted papers should also provide the title and the alphanumeric ID of the paper. We will send you your Visa support letter as a pdf via e-mail. The Schönbrunn Palace was the main summer residence of the Habsburg rulers, it is located in Hietzing, Vienna. The 1,441-room Baroque palace is one of the most important architectural, cultural, and historical monuments in the country. Since the mid-1950s it has been a major tourist attraction. The history of the palace and its vast gardens spans over 300 years, reflecting the changing tastes, interests, and aspirations of successive Habsburg monarchs. You can find information about tickets and visiting hours here. The Belvedere is a historic building complex in Vienna, Austria, consisting of two Baroque palaces (the Upper and Lower Belvedere), the Orangery, and the Palace Stables. The buildings are set in a Baroque park landscape in the third district of the city, on the south-eastern edge of its centre. It houses the Belvedere museum. The grounds are set on a gentle gradient and include decorative tiered fountains and cascades, Baroque sculptures, and majestic wrought iron gates. The Baroque palace complex was built as a summer residence for Prince Eugene of Savoy. You can find information about tickets and visiting hours here. The Hofburg is the former principal imperial palace of the Habsburg dynasty rulers and today serves as the official residence and workplace of the President of Austria. It is located in the center of Vienna and was built in the 13th century and expanded several times afterwards. It also served as the imperial winter residence, as Schönbrunn Palace was the summer residence. You can find information about tickets and visiting hours here. The Prater is a large public park in Vienna's 2nd district (Leopoldstadt). The Hauptallee (main avenue) is the main artery, lined with horse chestnut trees, closed to motorists and known to sports enthusiasts from the annual Vienna Marathon. The Wurstelprater amusement park, often simply called "Prater", lies in one corner of the Wiener Prater. The best-known attraction is the Wiener Riesenrad, a Ferris wheel. The park also features various rides, bumper cars, carousels, roller coasters, shooting galleries, ghost trains, a Madame Tussauds wax works cabinet and much more. Apart from the rides, the park features various famous traditional Viennese restaurants (such as the Schweizerhaus and the Walfisch) and souvenir shops. You can find more information here. You can find even more attractions of Vienna here.